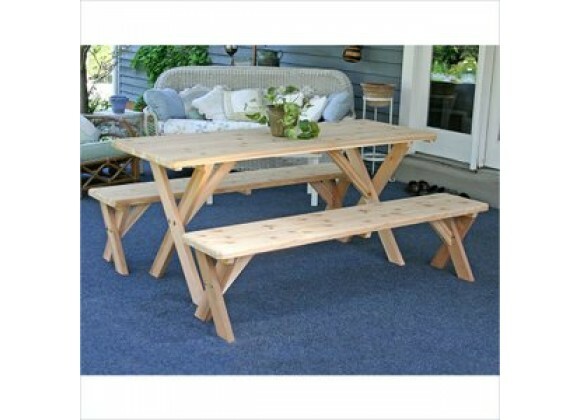 Our beautiful 27" Backyard Bash Cross Legged Picnic Table with Detached Benches will be a spectacular addition to your porch, patio, deck, backyard, or gazebo. Crafted from 100% red cedar, which possesses an abundance of natural oils that make it resistant to insects, warping, and decay, it's one of the most durable wood picnic tables available. With its attractive cross-legged design, it's also one of the most stylish.